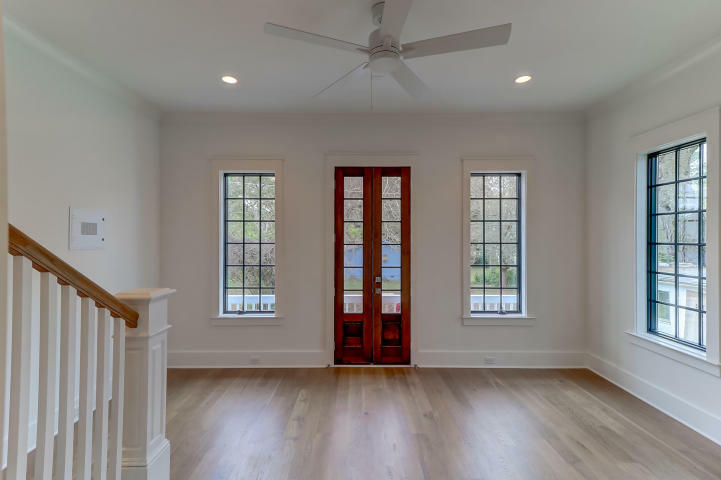 Located in the prestigious area of Old Village’s Earl’s Court, this new three-story construction showcases high-end finishes throughout and is within walking distance to popular attractions. 100 May Lane embraces a reversed layout that includes a first-floor bedroom/workspace, second-floor living room and kitchen, and third-floor master bedroom and guest bedroom. The home also offers high-end finishes throughout these living spaces. 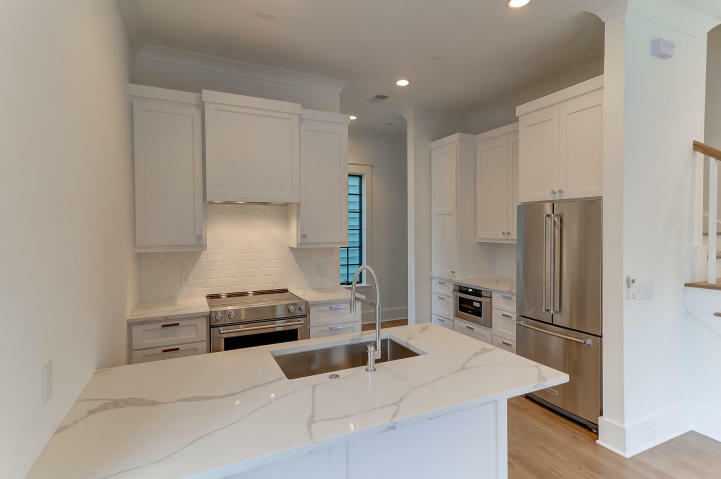 The designer kitchen features Teltos Statuario Quartz countertops, subway tile backsplash, polished hardware, and Kitchen Aid appliances. The living room flows cohesively with the kitchen and offers ample natural light and provides access to the Juliet-style balcony overlooking May Lane. A powder room is provided on this floor and boasts a shiplap accent wall and Namib Marble. The first-floor room is a great flex space to convert into a bedroom or work area and also includes an en-suite. 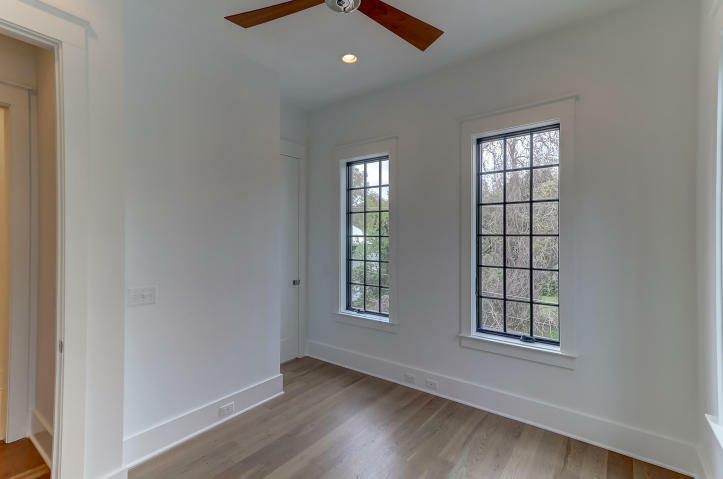 The third-floor master and guest bedroom offer plenty of light through the large windows with contrasting black sashes to add to the modern style of the home. 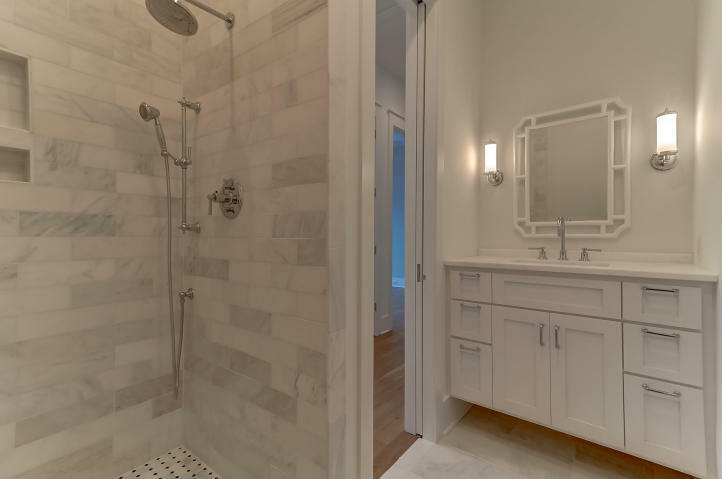 The full bathroom shared between these rooms showcase Namib Marble countertops, marble flooring and finishes throughout, and chrome faucet/shower fixtures. Earl’s Court consists of residential and boutique commercial spaces in the wonderful Old Village. 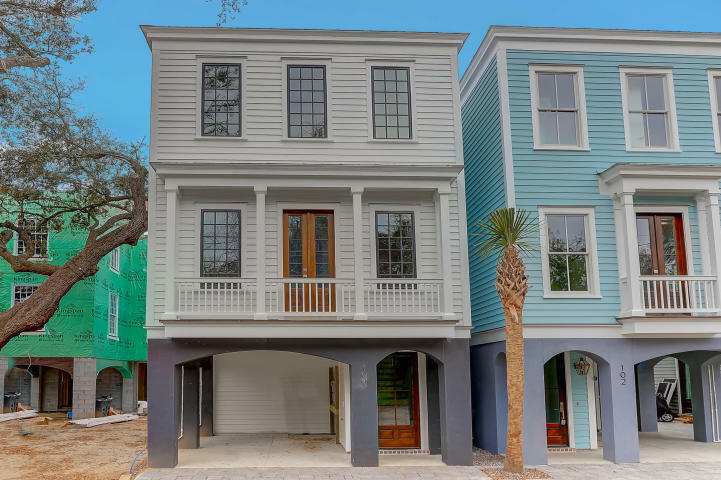 It is also walking distance to Shem Creek, Pitt Street, shops, restaurants, parks, more as well as a short drive to Sullivan’s Island and Downtown Charleston. For more information on this listing or to schedule a showing, please contact listing agents Jimmy Dye & Molly Conn. Click here to see more Old Village homes for sale.